Welcome new customers and showcase your property or service with digital eBrochures and mobile app sales guides for the hospitality industry. Inspire new markets from around the globe to visit your destination with mag+ interactive apps that are perfect for the hospitality industry. Now it’s easy for tourism boards, restaurants and hotels to craft a mobile dream world of travel, entertainment and excitement. Travel guides, eBrochures, sales presentations and marketing promotions can all be customized to your hospitality brand. By using the mag+ mobile app software, your business can come to life through beautifully designed content delivered directly to the mobile devices your audience uses every day. Any brand can promote a hospitality lifestyle with an interactive brochure that highlights the lifestyle side of their offering. Publix Super Markets used the Mag+ app-making software to produce an interactive digital brochure that promotes their brand without the cost of printing and mailing. 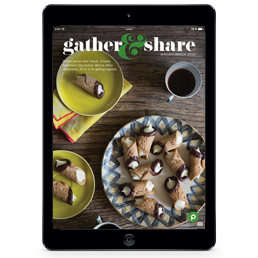 Gather & Share is a free digital publication that offers seasonal inspiration for cooking and entertaining with family and friends. The app includes photos, tips, recipes, and how-to videos packed with ideas for planning and hosting an array of events. Open the door on all the gorgeous possibilities your brand has to offer with an interactive app. The Official 2015 North Carolina Travel Guide is a perfect example of how travel and tourism boards can take advantage of mobile marketing. 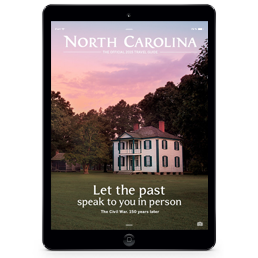 This travel guide app showcases what North Carolina has to offer through stunning interactive content. The dining section, for example, allows readers to learn about notable chefs, trending restaurants, wineries and famers markets through beautiful photography, videos and interactive maps. Users can also explore the outdoor playground to see different activities and adventures that are available in North Carolina. Inspiring potential visitors is the first step to increasing tourism dollars. Get hospitality club newsletters and internal communications done in a snap with Mag+. The Hilton Grand Vacation Club keeps members connected and engaged with travel tips, images, insights and advice to help them get away from it all in style. Best of all, this mobile newsletter is easily distributed directly to member’s mobile devices at the touch of a button, saving valuable time for Hilton Grand employees. Hospitality brands can download the Mag+ app-producing software to start creating fully interactive content. 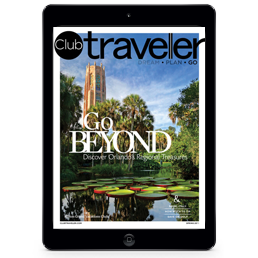 Mag+ provides everything you need to reach and inspire new visitors on their mobile devices.